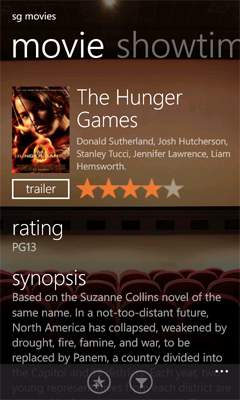 SG Movies is the one stop app for all your movie needs. 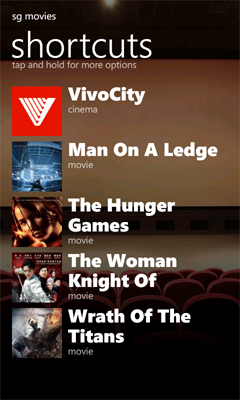 Get upcoming movie details, read the plot, or view the trailers. 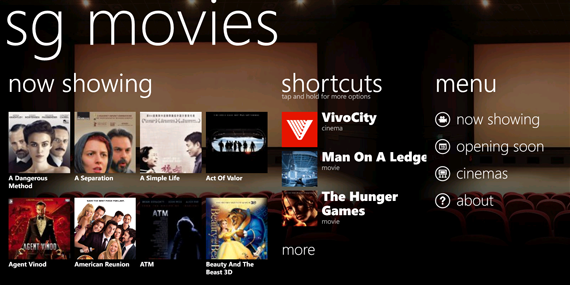 Easily check for the showtime of current movies. 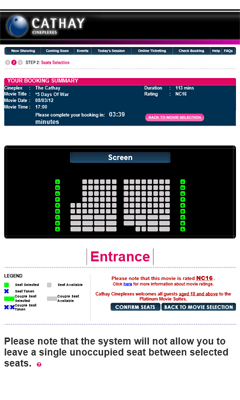 Once you decided which movie to watch, you can even check the movie seating availability, and access the cinema booking system directly. 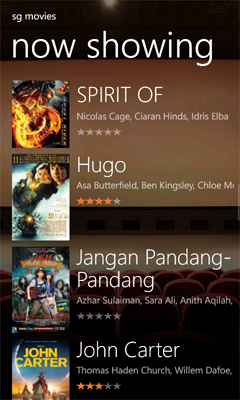 Add shortcuts of different cinemas or movies so that you can access those information quickly. 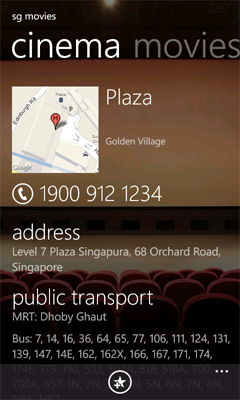 Listing of all cinemas makes it easy for you to find the address and phone number of any cinemas. 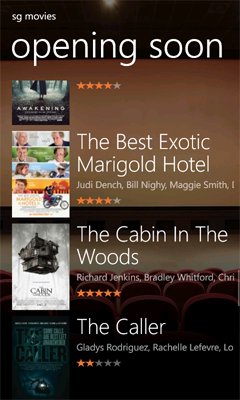 Any plan to list this app on US marketplace? 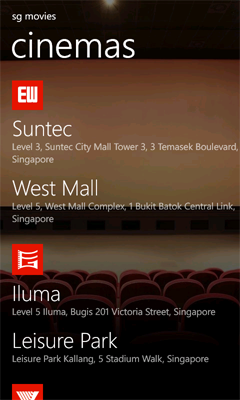 Cant find it on my WP cos it is registered to US locale.